GREMLINS have crawled their way into next month’s APG Australasian Premier Trotting Sale catalogue. Scheduled to be conducted at the Oakland Junction Sales Complex on March 10, the catalogue had 80 Lots listed. Yet as they tell us in the infomercials “but wait there’s more”…! A colt by Angus Hall from Yankee Stellar was omitted from the listing, but is now known as Lot 31A. The youngster is the unraced broodmare’s first foal. Yankee Stellar is a half-sister to three winners from four starters, including Group winner Majestic Ess Jay. There has also been a case of mistaken identity with Lot 8. Noted as a filly in the printed catalogue, the athletic looking youngster is a colt, with the online catalogue updated to reflect the correct information. By Dream Vacation from Meredith Castle, the colt is a half-brother to four winners. A former handy race mare, Meredith Castle is a half-sister to nine winners from 10 starters including multiple Group One winner La Coocaracha. 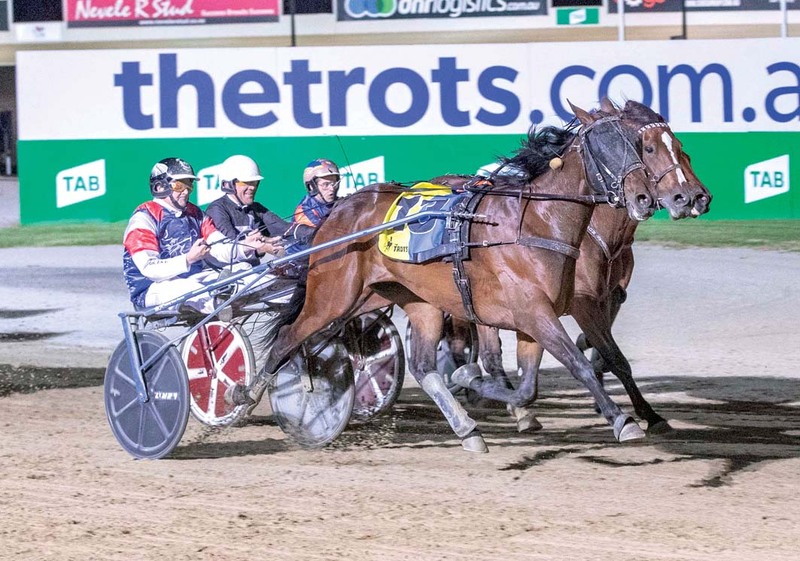 La Coocaracha is the dam of seven winners from eight starters including Group One stars Reina Danzante and Dance Crazed, which proved too good for Australasia’s leading trotters in the Great Southern Star a fortnight ago.